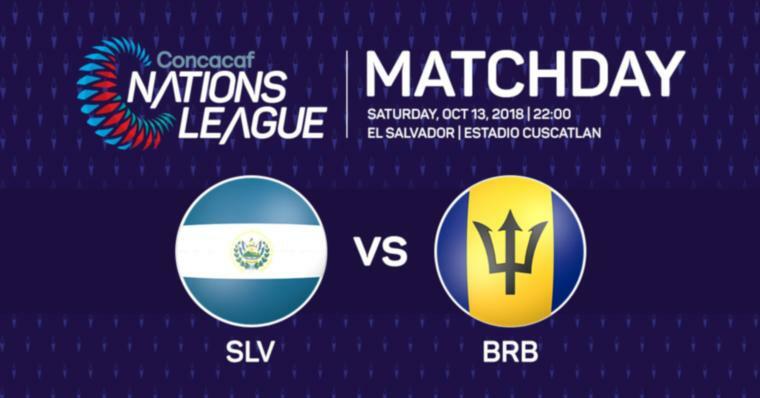 The senior men's national team found it tough going when they rolled into their second game in the Concacaf Nations League last night. Playing against El Salvador at the Estadio Cuscatlan, the Bajan Tridents were fed a bitter 3-0 pill by La Selecta in front of several thousand spectators. The hosts looked comfortable at home and held the majority of the possession, ending with 69%. Inside the first half, they were forced to play longer balls into the final third as Barbados employed a 10-man defensive line. Despite several injuries dotting the first 20 minutes, the Tridents were able to thwart several chances created by the Salvadorians. The hosts got their breakthrough in the 22nd minute when Denis Pineda was advancing through the middle before pushing the ball to the right for Oscar Cerén. With just two touches forward, Cerén sent the ball across the goal mouth to meet an inbound Nelson Bonilla, who sent the ball home to the right of a sliding Keasel Broome. With the Tridents struggling to string passes together, they made several failed attempts to move the ball forward, opting to go with long passes overhead instead of building the ball from the back. Just before the half would break, El Salvador would get their second from Gilberto Baires in the 43rd. With a ball squirting just outside the 18-yard box from a prior challenge, Baires hopped on it and put it just out of reach of a diving Broome to pick up his first international goal. After the break, several substitutions saw Raheim Sargeant, Armando Lashley and Antone Greaves being brought in to replace Rashad Jules, Mario Williams and Zeco Edmee. These changes brought a different complexion to the game with some better attempts at building chances being made. However, El Salvador would continue to keep the pressure on and make play after play. Ending the game with 16 shots, the hosts kept Broome busy and he showed he was worth salt – putting down several top-shelf saves. After knocking on the door all night long, Gerson Mayen finally got his goal in the dying minutes. With three minutes added, the unmarked man was fed in the middle of the box by a backward play and easily slotted to Broome's left in the 92nd.